The US "is weaponizing ignorance on an industrial scale," branding the regime in Kiev as a "pro-democracy," and turning a blind eye to lawlessness, ideological extremism, execution-style killings of opposition in Ukraine, Finian Cunningham noted. Western governments and media persist in their refusal to deal with the reality in Ukraine, branding the Kiev regime as "pro-democracy" and turning a blind eye to the rise of Neo-Nazi militarism, lawlessness and assassination of political opposition figures, emphasized Finian Cunningham, a writer and prominent expert in international affairs. "The contract killing of two opposition figures in Kiev this week is stark evidence that the country under the Western-backed regime is descending into a fully-fledged state of chaos and criminality," the expert pointed out. 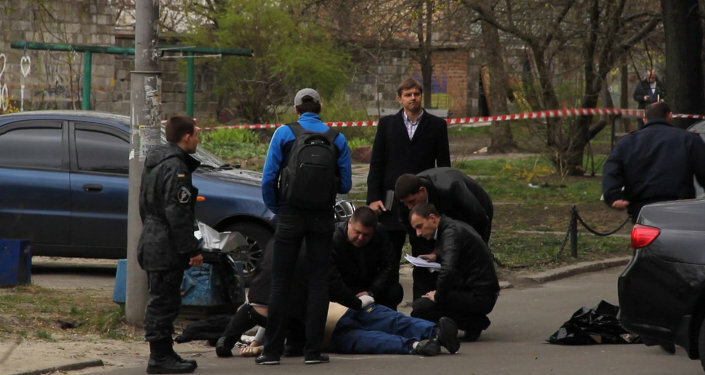 Oles Buzina, a Ukrainian journalist, and former parliamentarian Oleh Kalashnikov were murdered in Kiev this week. Both men were known for their vocal criticism of the Ukrainian ultra-rightist regime backed by Brussels and Washington. Furthermore, the execution-style killings of the Ukrainian opposition figures were preceded by a string of suspicious deaths among former parliamentarians from the Party of Regions (the party of ousted Ukrainian president Yanukovich), the writer noted. Meanwhile, the Ukrainian Verkhovna Rada, dominated by far-right parties, passed a law, banning Communist organizations as well as Soviet-era symbols, including statues of Soviet heroes who liberated Ukrainians from Nazi occupants. However, "the practice of oligarch-banditry and the surge in Nazi-styled paramilitaries, brashly donning SS insignia and carrying out war crimes against the ethnic Russian population; the indiscriminate shelling of eastern Ukrainian cities and villages under the orders of Kiev leaders; and the economic blockade of the breakaway region in a Nazi policy of collective punishment – all these violations have been comprehensively denied by Western governments and their mass media," Finian Cunningham emphasized. 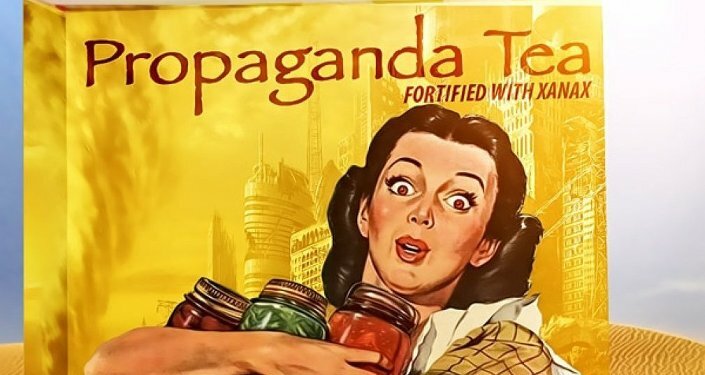 Instead of presenting Western audiences with an undistorted narrative of what is really going on in Ukraine, American and European mass media continue to beat war drums, propagating stories of Russian "invasion" and "aggression" without any credible evidence to prove their stance. Western governments and media have turned a deaf ear not only to the Kremlin's statements, but also to the report of French military intelligence chief Christophe Gaumard, who officially admitted this week that there is no evidence of Russian military invasion of Ukraine, or even plans for such a military campaign. However, just because Russian reputable media sources such as RT and Sputnik "do not peddle an anti-Putin, anti-Moscow narrative," the West insists that the Kremlin is carrying out an information war against the West and "weaponizing information," the expert pointed out. The American ruling elite in a state of "blissful ignorance" votes for the supply of advanced and expensive weaponry to Ukraine, a country where opposition politicians and journalists are being brutally killed in the streets. "Never mind American claims that Russia is "weaponizing information." America is weaponizing ignorance on an industrial scale," the writer concluded.